Two weeks ago for date night my hubby and I went to a local pub and I had the most amazing pulled pork served on a pretzel roll. I don't know what it was about that sandwich but I have been craving it ever since! Anyway, none of the local grocery stores in my area carry pretzel rolls. What the heck? I live in the suburbs of Chicago, it's not like I live in the boonies! Luckily, my husband works in the city and I was able to convince him to pick some up at a specialty market on his way home before hopping on the train. (Nice Hubby) I cooked the pork in my slow cooker and topped it off with some crispy onion straws and it was heaven! Something about that pork and pretzel combo. Yummy! Season your roast with the BBQ rub. Place in the crock pot. Add in your liquid smoke. Cover and cook on low for 7-8 hours or until meat is tender and starting to fall apart. Add your BBQ sauce and shred pork. Spoon onto pretzel rolls top with onion straws if desired. Enjoy! I've only checked Super Target and they don't carry pretzel rolls. I had no idea that Walmart did. Thanks for the tip! I love that you served the pulled pork on a pretzel roll! Pinning this. Thanks for sharing at Swap N Share Sunday. Nope, my husband picked them up at a bakery near his work. They were really good. I love the ease of this dish. Purchased Pretzel Rolls and the pulled pork made in a crockpot. This meal almost makes itself, perfect for a summer evening when I don't want to spend the day fussing over dinner. I'm here from Swap 'N Share. We just got a big bag of pretzel rolls and they are so good. 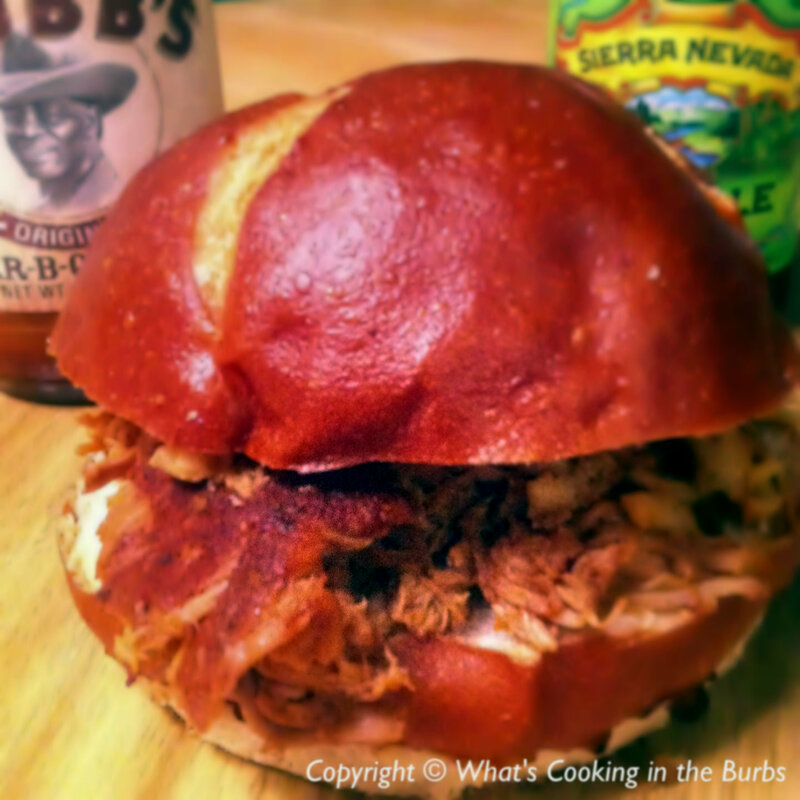 We will definitely save some to try with your pulled pork recipe. Can't wait! Thank You! I hope you and your family enjoy the recipe!